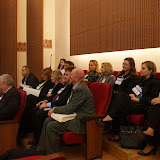 Conference Photo Album. Video is coming soon ! As many authors observed transition societies from communism to capitalism offer unique settings for social research. Eastern Europe “become a ‘living laboratory’ in organizational transformation within a context of profound institutional change” (Child & Czegledy, 1996). The dynamic and dramatic events that took place in East of Europe still have potential from this point of view. Far from being the proclaimed "end of history" (Fukuyama, 1992), the demise of communism represented a landmark in the management theory. But the benefits of the ‘junction’ of the Western management theory with the Eastern social, cultural and historical background are still to be expected. In the institutionalized management conferences, the Eastern scholars are still marginal. There is no management theory originating in the post communist context. But management was done during communism and transition to capitalism. Performant management was done even in communism. We consider that the past two decades are long enough. This is the moment for re-connecting East with West. 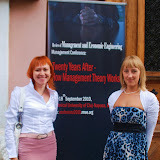 The conference main topic is focused on how management theory (or theories) was adapted, verified or denied in the post communist countries. Review of Management and Economic Engineering invites scholars both from East and West to face the challenge. Why at Technical University of Cluj-Napoca? Because of the long academic history of the city of Cluj-Napoca. Because here in Transylvania, the West meets East, the Catholicism and Protestantism meet Orthodoxy, the occidental rigorousness meets the oriental relativity.